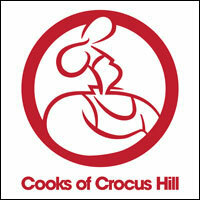 So I am super excited that Cooks of Crocus Hill has set up shop in Woodbury . . . in the Woodbury Kowalski's Market. What a great marriage. Two iconic local businesses, devoted to food and culinary items, service and expertise, are under one roof right in our town. Now you can do your grocery shopping and pick up any needed kitchen items, or culinary gifts, right at Kowalski's. A great place got even better.